Arkansas is much like other states when it comes to what it takes to become a certified public accountant, or CPA. Take a look at the steps within our guide and you will have the information you need to start your path to earning your CPA. The first challenge you have to overcome when seeking to become a CPA in Arkansas is to complete the formal coursework mandated by the Arkansas State Board of Public Accountancy. The state's minimum education requirements necessitate that you earn a bachelor's degree from an accredited institution. You also have to take at least 30 credit hours of undergraduate accounting courses and 30 credit hours of general business courses. The ASBPA has very specific education requirements, so it is important to understand the requirements in detail to ensure that you obtain the right education to become a CPA. If you already have a bachelor's degree from an accredited institution in a field other than accounting, Arkansas lets you take supplementary courses to meet the education requirements. You will, however, have to work with an accredited institution to make sure that you take all the courses that an accounting major would need. When you apply to sit for the CPA exam, you will need to attach a statement from your educational institution certifying that you have at least met all of the school's graduation requirements for an accounting major. Arkansas does not require individuals with a bachelor's degree to obtain a second undergraduate degree in accounting as long as the education requirements are met. Complete 120 credit hours at an accredited university. Earn at least a grade of C or above in 30 credit hours of accounting courses and 30 credit hours of business classes. Basic and intermediate accounting classes only count toward the general business requirements, so you will have to take upper-level classes if you already have a business degree. Schools cannot award students more than 3 credit hours for relevant independent studies and internships. Regardless of your existing education, the best way to comply with the requirements prescribed by the ASBPA is to work with a qualifying institution that can provide the certification you need. Once you have met the education requirements, the next step is to sit for the CPA exam. You can apply to take the exam before you receive your bachelor's degree, but you will not be issued a score until you graduate. On the application, you have to give the ASBPA the address of your current employer, but your employer does not have to do business in a field related to accounting. Aspiring CPAs in Arkansas, therefore, have to first obtain a job after graduation before applying to sit for the CPA exam, but doing so gives you credit toward the state's work requirements if your job function is related to accounting. Your employer does not have the right to receive your CPA exam results without your authorization. The ASBPA approves students seeking to take the CPA exam, so you have to submit your application in accordance with its requirements. In addition to providing general information, the application requires you to submit official transcripts and documents verifying your identity. You also have to provide either a copy of your degree or a statement from an accredited university certifying that you have met the education requirements or will meet them in the near future. When submitting your transcripts, you must have your school send the transcripts directly to the ASBPA. Transcripts submitted by an applicant will be rejected. You will also have to schedule a drug screen, and Prometric is the only testing agency that ASBPA recognizes. Arkansas has students take the Uniform CPA Examination offered by the Association of International Certified Professional Accountants. According to the AICPA, 44 percent of students who took the exam in 2017 received a passing score. The exam is taken at a designated testing center, and it is administered on a computer. You have to receive a score of at least 75 percent to pass the exam, but the AICPA uses a complex algorithm to determine a student's final score. It is important to try to pass the exam on your first attempt since applying for an additional attempt requires you to meet a more extensive list of requirements. The necessary work experience can be accumulated over time, and it does not have to be earned in a period of consecutive employment. You do not have to graduate before earning your work experience. You can earn work experience in either a full-time or part-time capacity. The only limitation associated with the work requirement is the necessity of earning your work experience over a three-year period. If you want to apply hours worked during an internship toward your work requirement, you will need authorization from your educational institution. In most cases, schools will demand that you and your employer work with a professor throughout the internship so that your experience can be documented in the right way. Accredited schools are, however, given substantial flexibility for determining the applicability of your employment history toward the work requirements in Arkansas. When planning your path toward becoming a CPA, you should make sure that you take advantage of opportunities to earn both college credit and work experience at the same time. Many leading accounting firms in Arkansas offer promising students internship programs that are designed to provide work experience that meets the requirements of the AICPA before graduation. Since universities are the best source of fresh talent available, reputable employers are usually delighted to work closely with schools to develop an employment plan that can count toward graduation. The key to streamlining the attainment of the work requirements in Arkansas is to plan your employment in advance. Although getting a job in a field related to accounting is difficult before finishing your education, many employers are willing to act as mentors for ambitious students. Mentorships can often lead to early employment and other advantages as you progress in your early career. Leading schools also offer academic clubs and career events that attract employers who are searching for exceptional talent. Taking advantage of the extracurricular opportunities that your university provides can make meeting your work requirements a simple and enjoyable experience that can yield significant personal enrichment. The goal of passing the CPA exam, finishing your education, and obtaining work experience is to meet the requirements for obtaining your CPA license in Arkansas. The road you have to traverse before acquiring your license can appear long when you first set out, but it is important to have a thorough understanding of where you are heading to avoid delaying your career. You will also need to meet a specific list of requirements mandated by the ASBPA, so you should ensure that you will be able to meet the requirements before starting your journey. Most reputable schools are willing to guide successful graduates toward finishing the requirements for obtaining their license, so you will not need to hire experts to assist you during the licensing process in most cases. Once your school confirms that you meet all of the licensing requirements, you will apply to the ASBPA to obtain your Arkansas CPA license. The CPA license application is not available to the general public, so you will have to contact the licensing department of the ASBPA on your own initiative. You can contact the licensing department by phone or by making a personal visit to their offices in Little Rock. Once the ASBPA has given you the application to apply for an accounting license, you will need to attach documentation verifying that you have met all of the state's requirements for becoming a CPA. Arkansas subjects prospective licensees to a quality review process. All applicants also have to take an online ethics course before obtaining their license. You will, then, have to wait up to 30 days after submitting your application before receiving your official license. Once you obtain your license, you have the right to work as a CPA in Arkansas. In general, receiving your CPA license may result in a better financial outcome for you since a license enables you to work without oversight from another CPA. You also have the option of becoming self-employed once you have obtained your CPA license by building up your own base of clients. You will, however, have to obtain a license in every state where you intend to practice. There is high demand for CPAs in Arkansas, but you may want to consider obtaining additional licenses if you plan to work online or near state lines. There are no programs available for obtaining a universal accounting license at the federal level, but pressure from online employment may lead to the creation of a federal CPA license in the future. Complete at least 40 hours of continuing professional education in the previous 12 months. Complete 120 hours or more of CPE in the previous 36 months. You are given significant flexibility when choosing what you want to study to meet your CPE requirements. You will, however, have to focus on subjects related to accounting for at least 60 percent of your additional education. You have to receive at least four hours of education in professional ethics before applying to renew your CPA license. Additionally, there is a requirement that at least than 20 percent of your CPE hours focus on accounting theory. You will submit documentation proving you completed the CPE hours the AICPA demands when you apply to renew your CPA license in Arkansas. Many people who consider becoming an accountant worry about how CPE hours could take time away from their schedules. In most cases, employers are willing to pay for CPE hours, and they often allow CPAs to meet CPE requirements during working hours. Taking additional courses gives you the chance to learn about new methodologies, and this knowledge can increase your value as a professional. Accounting is a rapidly changing field, so CPE gives professionals a chance to stay current as the world changes. 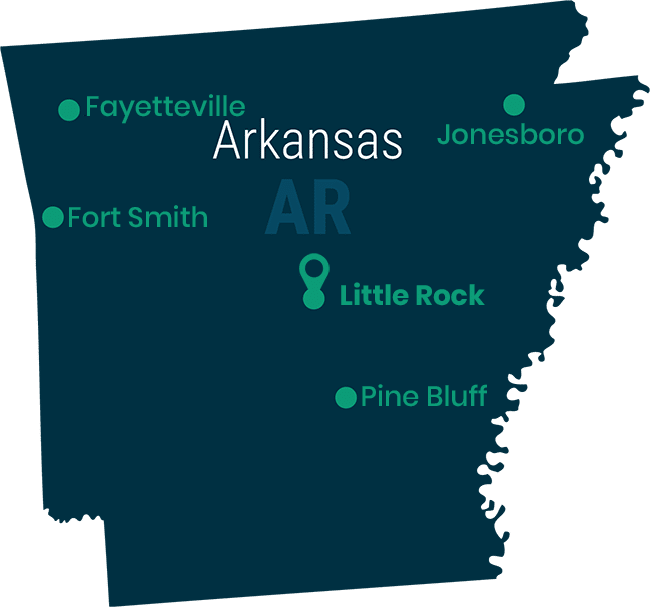 Overall, becoming an accountant in Arkansas provides you with a rewarding and sustainable career with a broad range of opportunities for advancement.